Grew Up… on another planet. Megamind’s parents sent him out in an escape pod when his planet was destroyed. They told him that he was destined for something, but he doesn’t know what exactly. He arrived on Earth when he was just a baby, and crashed into a prison for the criminally gifted. The prisoners raised him to become a criminal mastermind. Living… in Metro City. Megamind lives in his fortress with only his sidekick Minion for company. Always picked last in gym class, Megamind remains outcast from the rest of society. Profession… professional supervillain. With his brilliant intellect, Megamind became the self-proclaimed villain of Metro City. However, the same day he arrived on Earth as a child was the same day that the good and perfect Metro Man was sent from his planet. They have been rivals ever since. Interests… inventing new mischievous gadgets. Megamind has been a precocious inventor ever since he was a small boy, and he likes to spend his days hatching new plans and creating new weapons. Relationship Status… single. Megamind has lived a lonely existence, but he’s recently had his eyes on reporter Roxanne Ritchi. Naturally, he decides to kidnap her. What started as a plot to lure Metro Man into his clutches quickly turned into a budding affection for the young reporter, though she doesn’t seem to return his affections. Challenge… figuring out his destiny. 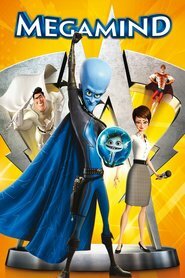 After defeating and killing Metro Man, Megamind finds himself without a rival and thus, without a purpose. Thanks to the idea from Roxanne, Megamind decides to take some of Metro Man’s DNA and inject it into a new worthy opponent. However, when the serum is accidentally injected into Roxanne’s dim witted cameraman, Hal, he begins to wreak havoc around the city. Now, Megamind has to decide whether to play good guy for the first time in his life, and save Metro City. Personality… intelligent, bumbling, and egomaniacal. As his name suggests, Megamind possesses an incredible mind. However, his intellect has made him arrogant and self-important. Despite his smarts, Megamind is very awkward and clumsy, and his plans never really seem to take off. And when it comes down to the protection of Metro City from a new menace, Megamind is discovering that he might just be a decent guy deep down. Megamind's popularity ranking on CharacTour is #867 out of 5,000+ characters. See our top-ranked characters and read their profiles.